LAWNS TO BEACHFRONT. 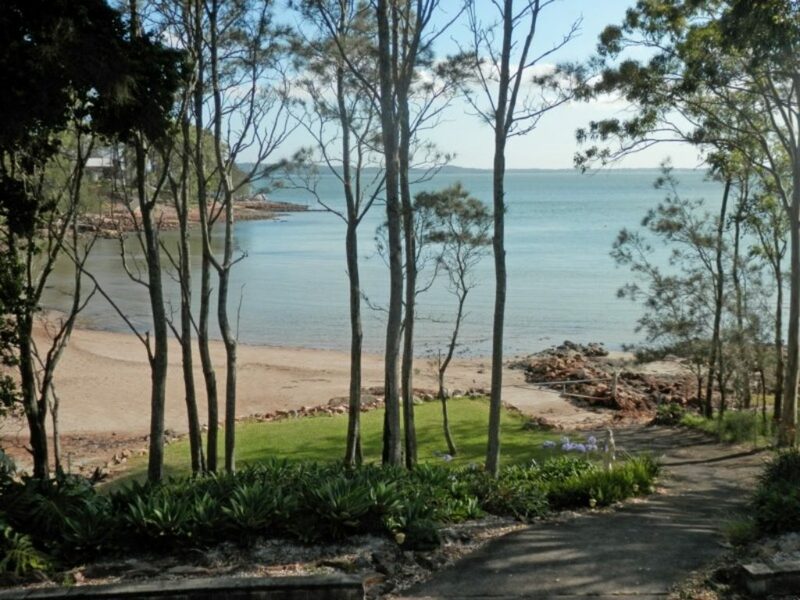 Fantastic position in North Arm Cove with stunning views and direct access to the beachfront. The Air conditioned residence comprises of three large bedrooms, main with ensuite, main bathroom, large open plan living and dining areas which flow to the deck to enjoy the vista. Timber kitchen and large extra entertaining room at the front of the house. Downstairs is a separate 4th bedroom with its own shower and toilet and extra fridge. Double garage plus loads of off street parking which is ideal for the extra car and boat. Double garage plus loads of off street parking. 2 single beds, bar fridge, own downstairs toilet and shower. Downstairs laundry with shower and toilet.